The entrance of the historic Tunnel des Pontis was endangered by rockfalls. 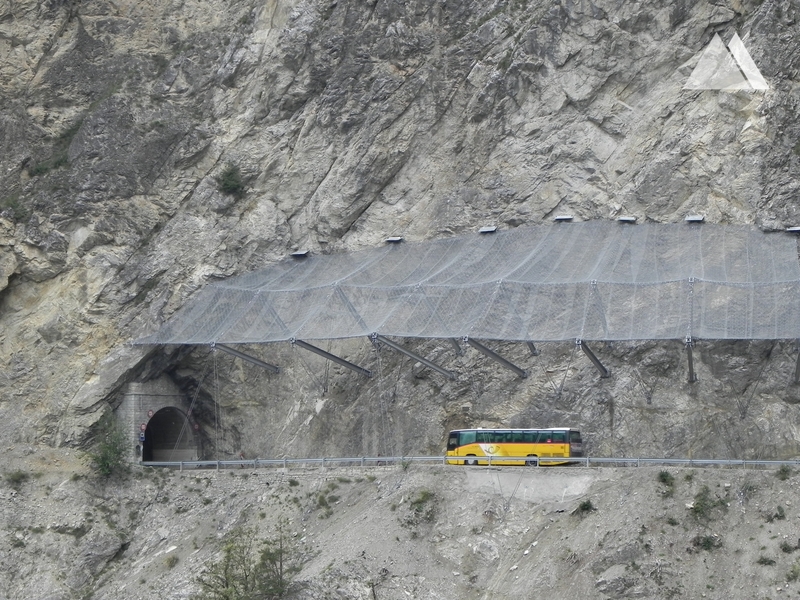 The flexible rockfall canopy – at present the world’s strongest, with an energy absorption capacity of 2000 kJ – was installed at an approximately 60 m long rockface at the Tunnel des Pontis. 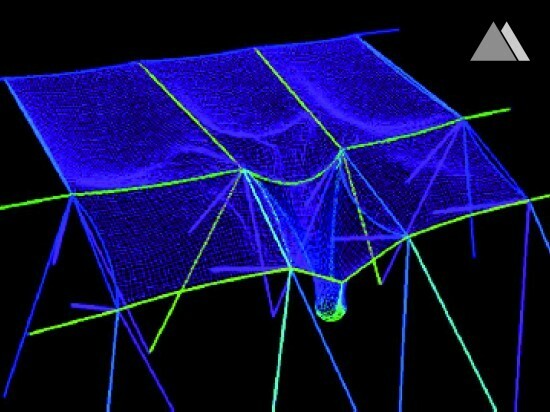 The supporting structure calculations including special load cases such as boundary field hits, suspension rope hits and snow load were fully simulated on a computer using the FARO software. A total netting coverage of 1200 m² was installed. Lengthening the existing tunnel would have cost eight times more than Geobrugg’s solution.